There is a beautiful heated swimming pool just waiting for you!! 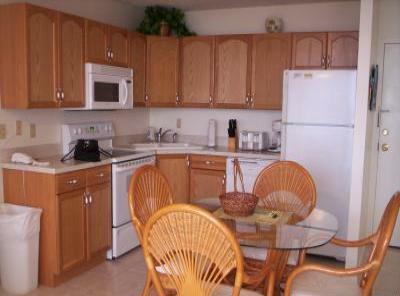 The condo has everything you need except for food and swim suits. refrigerator, dishes, utensils, pans, etc. Parking is available in an uncovered lot just for our complex. dolphin tours. You may also rent cabanas for the day or 1/2 day. the day fishing or sightseeing. You will never run out of things to do--just out of time to do them!! September 1 through December 15 cost is $500 per week. December 15 through April 19 cost is $950 per week. April 19 through December 13 cost is $550 per week. December 13 through April 18 cost is $975 per week. April 18 through December 19 cost is $575 per week. There is an 11% Florida tax to be added onto the price of the condo. Pets are allowed less than 25 pounds for an additional $50. Check in time is 3 p.m. and check out time is 10 a.m.
We accept Visa, Mastercard, personal checks and paypal.